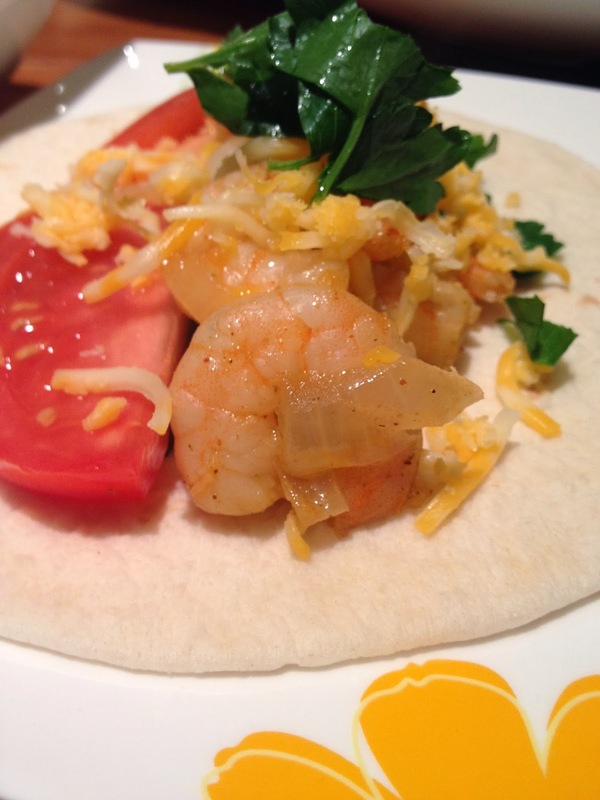 We made these great, shrimp tacos the other day and I am officially obsessed. 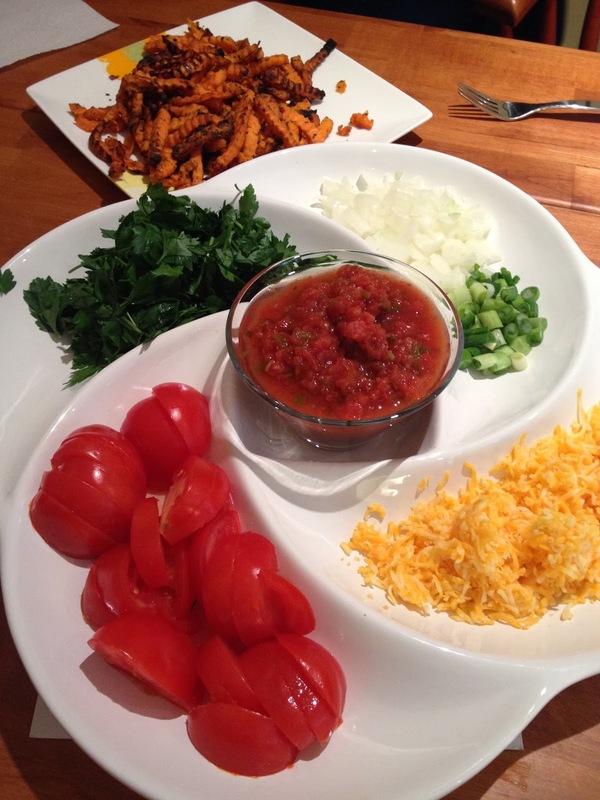 We served them with a side of sweet potato fries but they are filling as is and can be eaten alone or with a side salad as well. 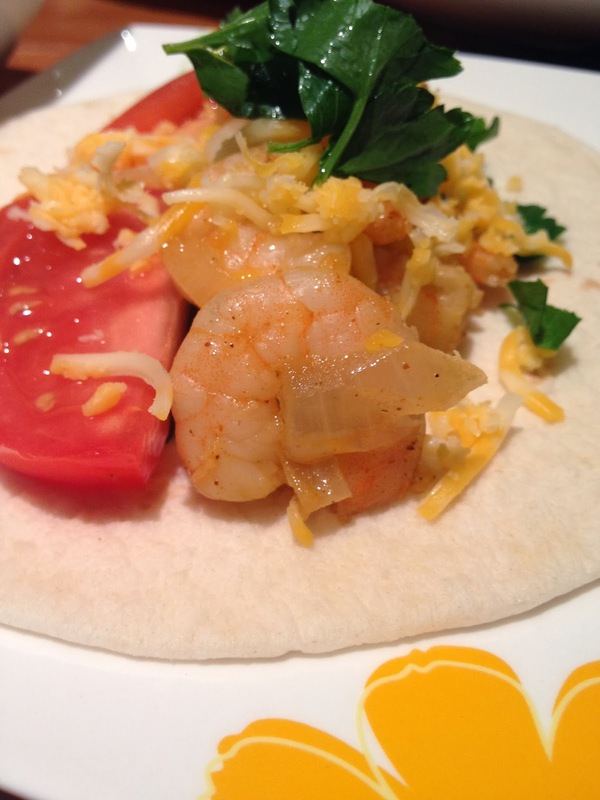 Simply start by frying up an onion (finely chopped) and add a couple portions of shrimp (the portions above are for about 3-4 soft tacos, depending on how much you stuff them). 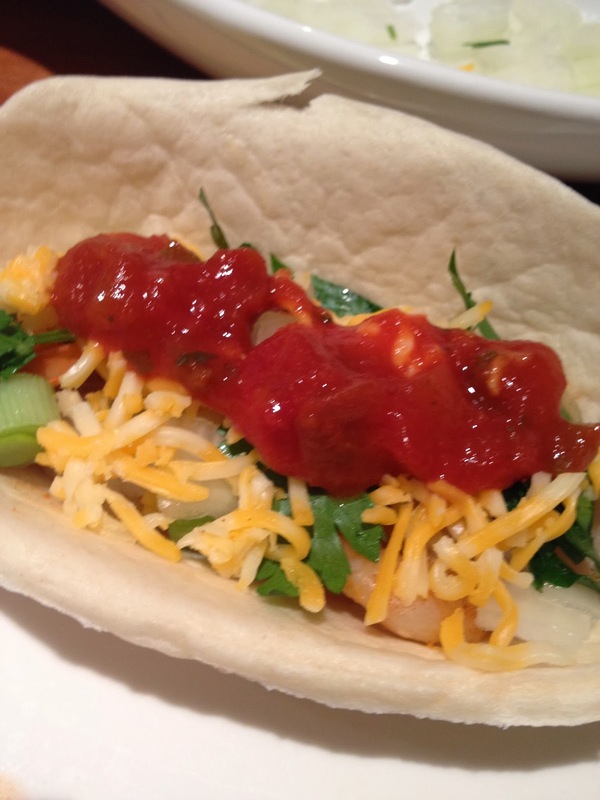 While they cook, cut up any veggies you'd like to include in your tacos. 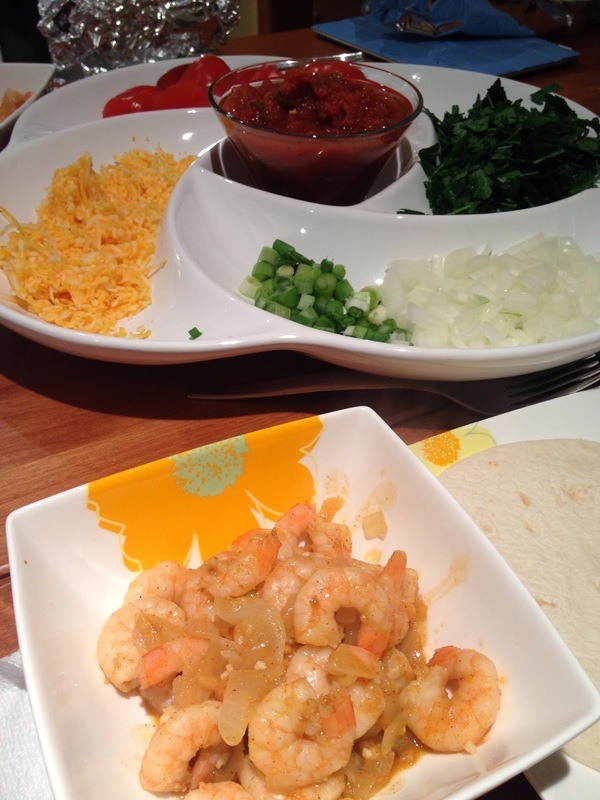 Add grated, cheddar cheese and salsa to the table and by this time your shrimp stirfry should be ready. Serve immediately and enjoy! 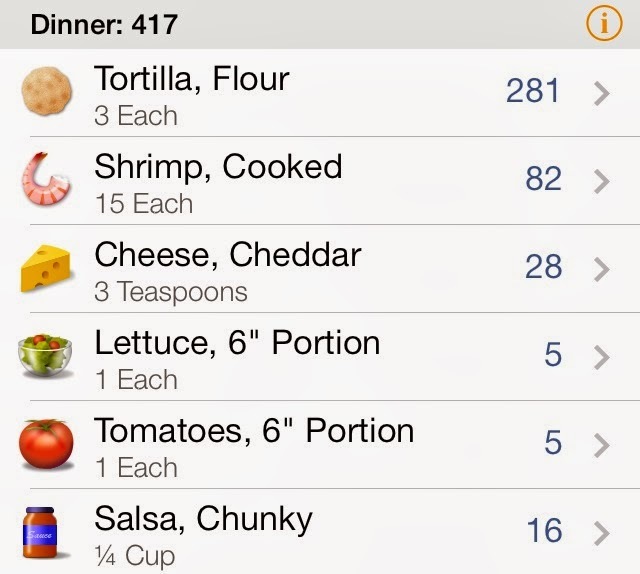 This is a quick, daily meal post but if you'd like more direction, simply send me a message on Facebook!